The ad created for the Australian Open has viewers a little confused, featuring the tune of the Zorba instead of the more fitting Tarantella. Italian pasta producer Barilla’s new advertisement has viewers a little confused. 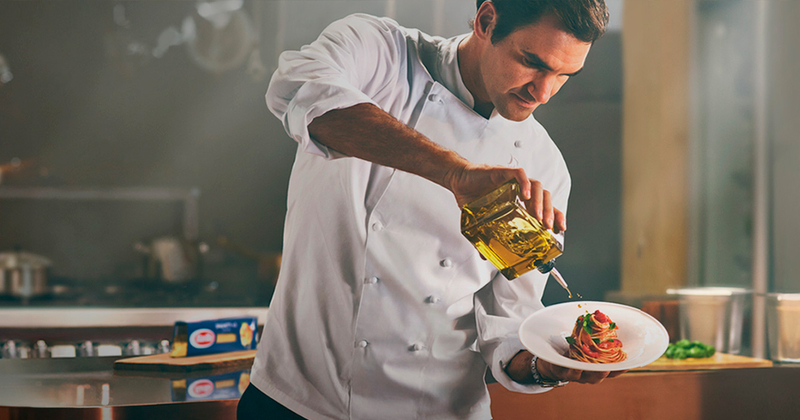 Created for the Australian Open, the 30 second ad features the company’s ambassador, Swiss tennis player Roger Federer walking into a commercial kitchen to learn to cook pasta alongside Italian Michelin-starred chef Davide Oldaniand. So far there’s nothing strange about the scene, but it’s the tune of the Greek Zorba playing overhead that has attracted attention. Many have expressed that it seems like an odd fit to have such a quintessentially Greek tune as part of the promotion of the Italian product, and has resulted in a number of viewers taking to Twitter to express their confusion, and in some cases, disappointment. Dimitri Tsivelekis saw the ad as “racial ignorance”. “I am very dissapointed in the racial ignorance that is displayed in the new commercial from @Barilla featuring @rogerfederer. It is clearly an Italian dish and chef yet the background music played comes the famous Greek inspired film “Zorba the Greek”,” he tweeted. On Wednesday the pasta company responded via its official Twitter account, claiming it chose the tune as it is representative of the Mediterranean. “Hi there, Barilla chose Zorba’s Dance because the music perfectly represents the warm and joyful soul of the Mediterranean,” Barilla tweeted.